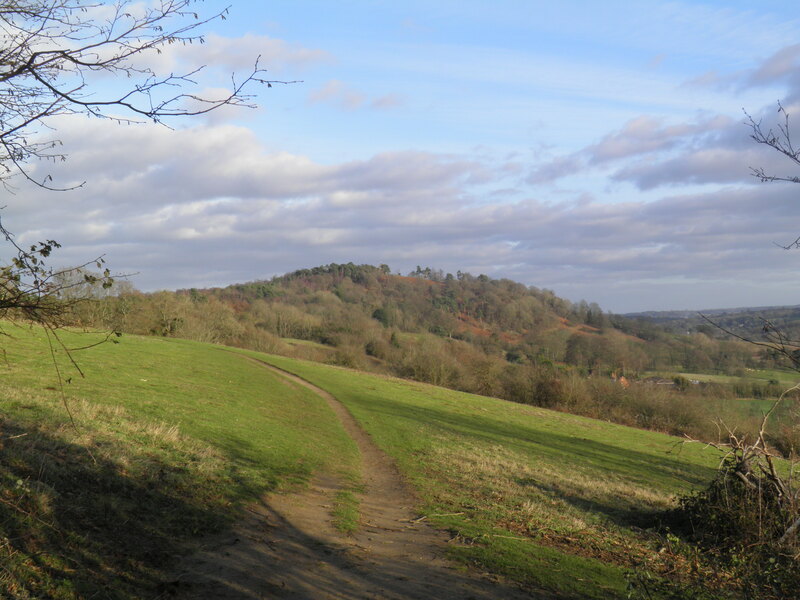 From the lush fields of the Surrey plain, this walk climbs gently up through beech woods and across meadows into rolling downland, culminating with an ascent to the hilltop church and viewpoint at St Martha’s Hill. Underfoot: In general, geology favours this route with firm or sandy terrain, though there are a handful of short sections likely to be muddy. Terrain: There are a lengthy series of gradual, gentle ascents, with two short, steep descents to Silent Pool and from St Martha’s Hill. Maps: 1:50,000 Landranger 187 Dorking & Reigate and 186 Aldershot & Guildford; 1:25,000 Explorer 145 Guildford & Farnham. Getting there: Horsley is served by four trains per hour (Monday-Saturday) from London Waterloo. Two trains travel via Surbiton, taking 45 minutes, and two via Epsom, taking 57 minutes. All services call at Clapham Junction (36 or 48mins) for London Overground connections and Wimbledon (29 or 41mins) for London Underground connections. There are two trains per hour on Sundays, one via either route. 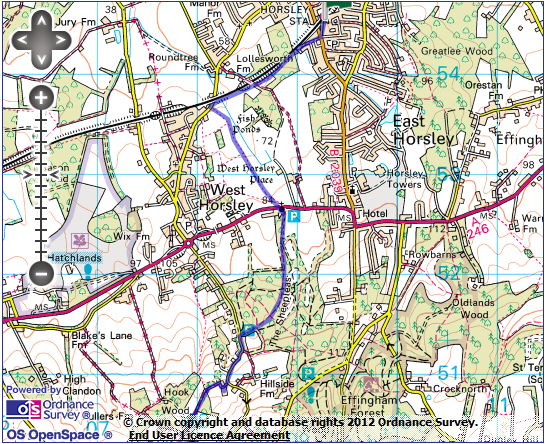 Useful websites: Parts of the route follow the North Downs Way. You pass through the nature reserve at The Sheepleas and St Martha’s Hill. 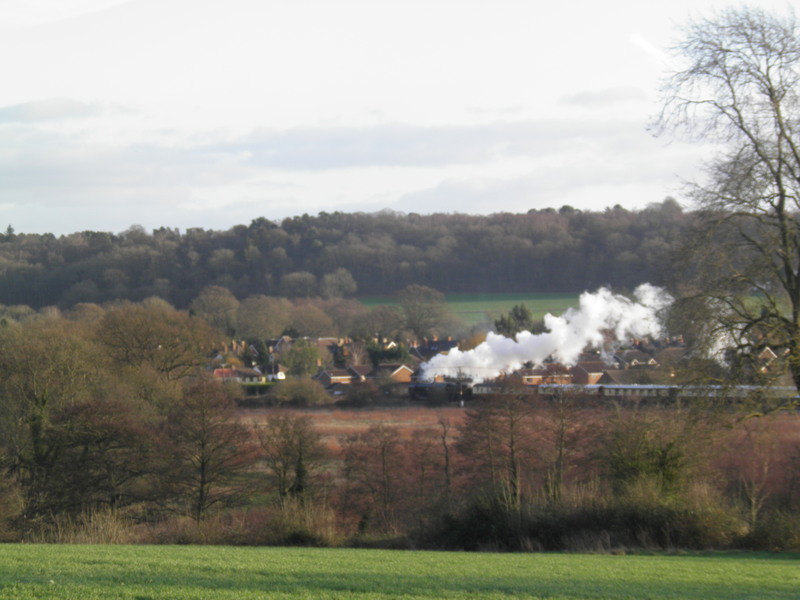 Getting home: Shalford is situated on the cross-country North Downs line, so you need to change trains to get back to London. Monday – Saturday, one train per hour (every 2 hours on Sundays) runs from Shalford to Guildford (5 mins) from where there are 4 fast trains per hour to Waterloo via Woking (2 on Sundays) taking around 38 mins. 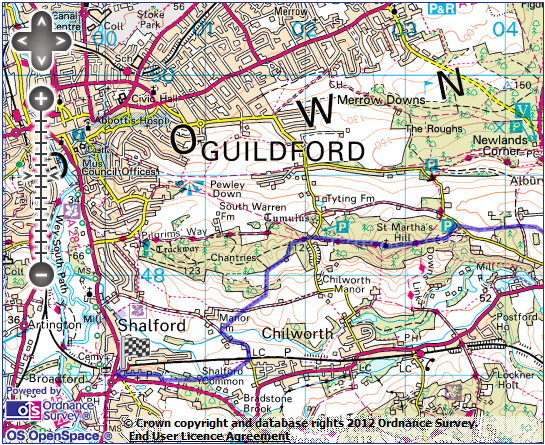 Whilst this walk ‘works better’ in the direction described, it is worth considering doing it in the reverse direction if walking on a Sunday, so as not to be rushing for the train every other hour from Shalford. Fares: Both outward and return journeys are covered by a London to Shalford return £14.70 (£7.35 child, £9.70 railcard). Leave the Guildford-bound platform and turn right down Station Approach. At the end, cross the mock-Tudor lined high street and take Kingston Avenue almost opposite. At the end of this road, by the large village hall, keep straight ahead on a tarmac path beside the railway. Follow the path through woods, past a bridge over the railway and through fields to reach a bridge next to a railway bridge on the edge of West Horsley. Turn left for 20m (it is best not to cross to reach the pavement, as you will simply have to re-cross on a blind corner), then left on a fenced footpath. The path twists across a couple of fields. Keep straight ahead at a waymarked path junction and then follow the lefthand hedgeline and fence, with glimpses of West Horsley Place to the left amongst the trees, to reach the A426 opposite West Horsley church. West Horsley Place is a medieval manor house, altered in the sixteenth century, and refaced in the seventeenth and eighteenth centuries. Its early owners seemed rather prone to meeting their ends on Tower Hill, and in keeping with this tradition, it was occupied by the family of Sir Walter Raleigh. His head is buried, alongside the intact body of his son Carew, in the south vault of the church here. Cross the busy road with care and take the small road next to the church. 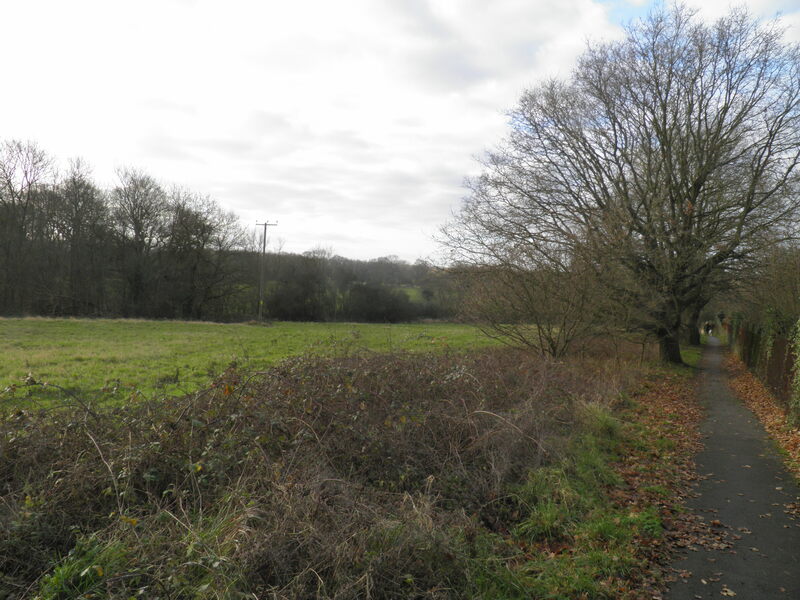 Where the tarmac road veers off to a car park, keep straight ahead on an unsurfaced track (marked by a bridleway sign), running up the side of a wood towards the Sheepleas. almost immediately left at another bridleway sign. Keep straight ahead on the clear path through the woods, eventually beginning to climb a little more steeply. 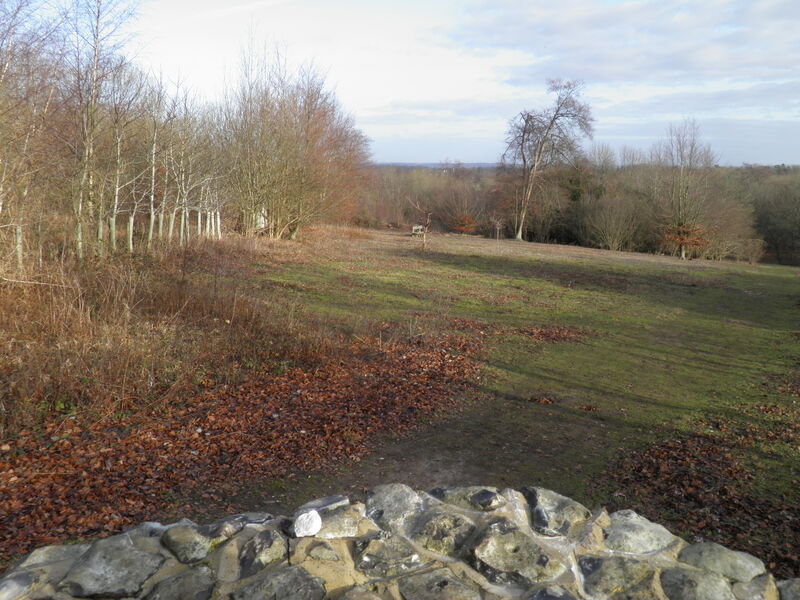 Just before the summit, a viewpoint in a clearing to the left gives sweeping views north – as far as the London Eye, the Shard and Canary Wharf on a clear day. 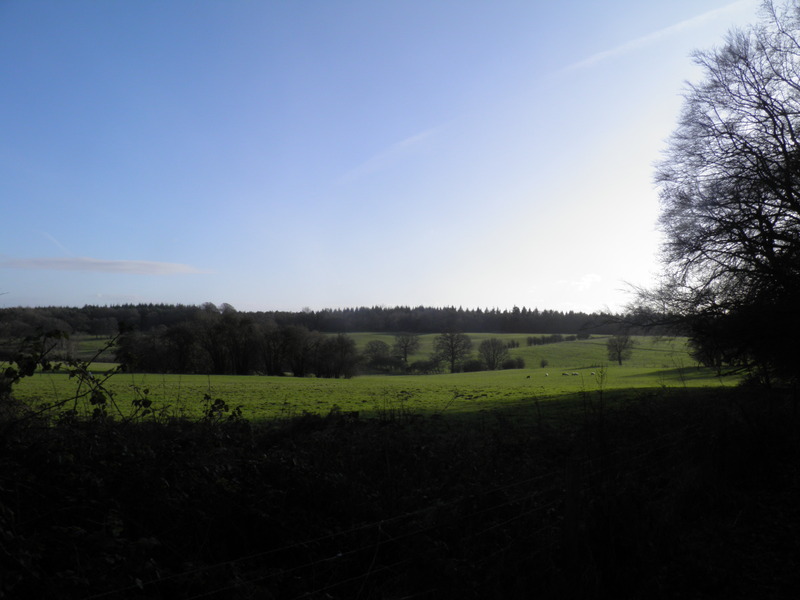 The Sheepleas are 300 acres of downland woodland, classified as an Area of Outstanding Natural Beauty. It was historically part of the West Horsley estate, and was purchased by auction in the 1930s by Surrey County Council to protect it from habitat. The loss of a large number of beech trees in the 1987 hurricane proved to be a blessing in disguise, opening up new areas of meadowland for a greater variety of wild flowers. Just beyond the viewpoint is a sign marking a crossing bridleway. Keep straight ahead, descending slightly to another signed junction. Keep straight ahead again (towards Shere Road Car Park). Where the track forks, keep right, pass through a small car park and join the minor Shere Road. Turn left, heading uphill past a row of houses and keep right at the junction with the drive to Hillside Manor. 200m beyond, turn right on the surfaced track towards Hillside Farm, following a bridleway sign. Keep to the concrete drive as it loops through the farm buildings, then turn left at a hand-painted bridleway sign. This leads onto a sometimes muddy track through trees. Ignore the footpath which climbs in from the left and keep to the clear bridlepath, now much firmer. ahead between weatherboarded houses, and at a junction take the signed bridleway ahead. This clear, fenced route twists along the boundaries of the upland meadows to arrive at Combe Lane. Turn right on this broad road for around 500m. 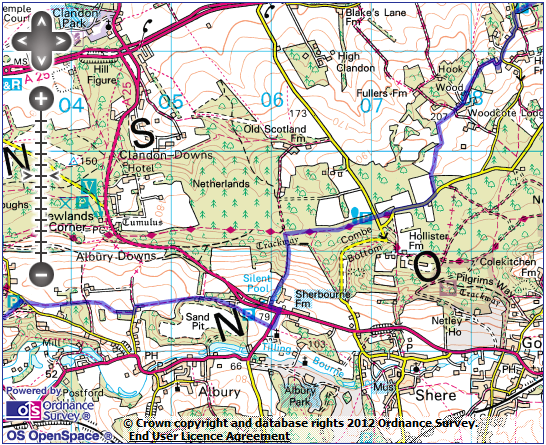 Where the road swings sharply left, keep straight ahead past a dew pond on a path, signed as the North Downs Way (NDW). The path soon reaches a second road, which you cross, pass through a small car park to continue on the NDW through Shere Woods. turn left at a waymark post marking a crossing path, signed to Silent Pool. The path descends steadily, sometimes as a sunken way, passing a World War 2 pill box on the left and a vineyard on the right. 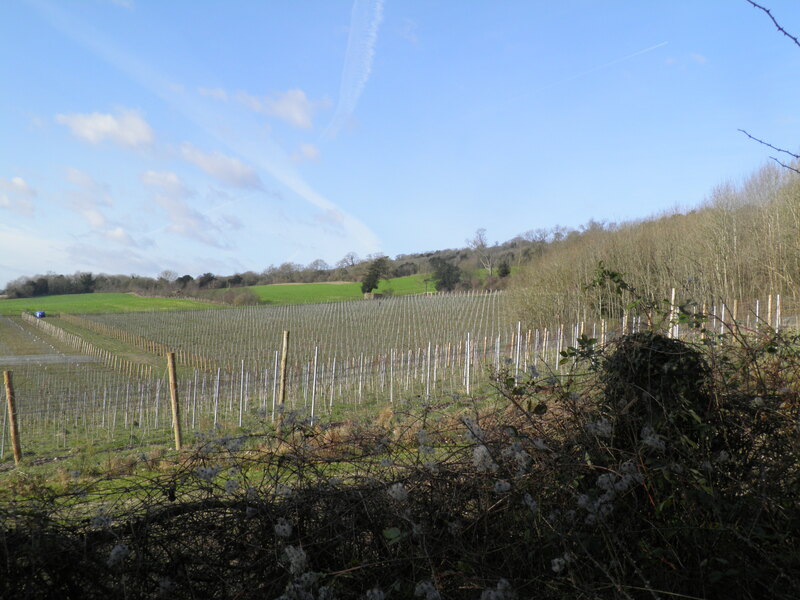 This is Albury Organic Vineyard, one of a new wave of vineyards exploiting south-facing chalk slopes in Surrey and Kent. Albury was established in 2009, with 8,500 vines of Champagne varietal grapes – a further 12,500 vines were planted in the following year. The first commercial harvest took place in the autumn of 2011, with the first wine intended to be a still rosé. As the path begins to flatten out halfway down the vineyard, pass left through a gap in the hedgerow and down steep steps to Silent Pool. Keep to the right hand bank of both Silent Pool and Sherborne Pool to join a track leading to the A25 dual carriageway. and Medway valleys. 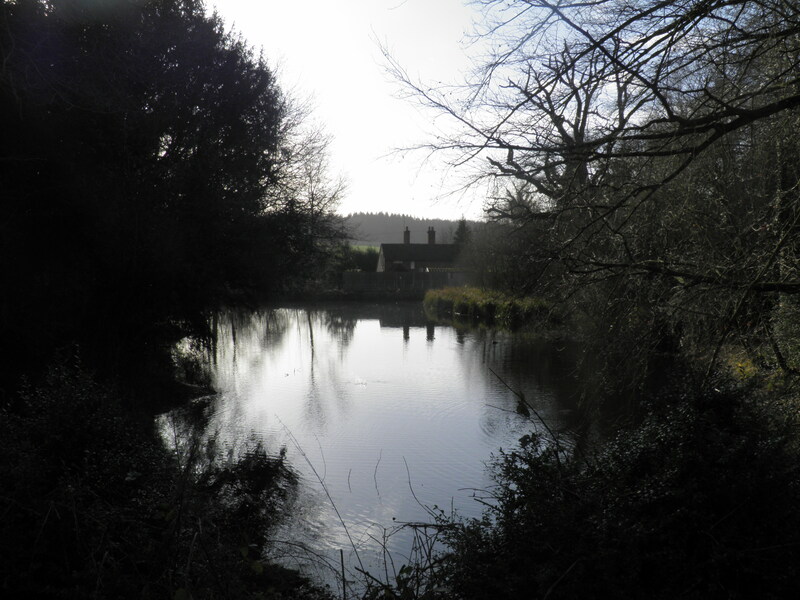 On occasions, you will find the upper pool (Silent Pool) to be dry, but Sherborne Pool always retains water. Sherborne Pool is artificial, dating from the 17th century, with the natural Silent Pool being expanded at the same time. Inevitably, Silent Pool is said to be haunted – by a woodcutter’s daughter who drowned here after being abducted by King John. Turn left on the verge towards the distinctive weather-vane topped barns of Home Farm. Just before a bus stop use the path across the central reservation to join the A248 which heads right towards Albury. Use the path beside the road towards ornate Albury church. Just before the church, where a path comes in from the left, instead turn right across the road to take the footpath opposite. track. By a cottage, keep straight ahead on a track signed as a bridleway. 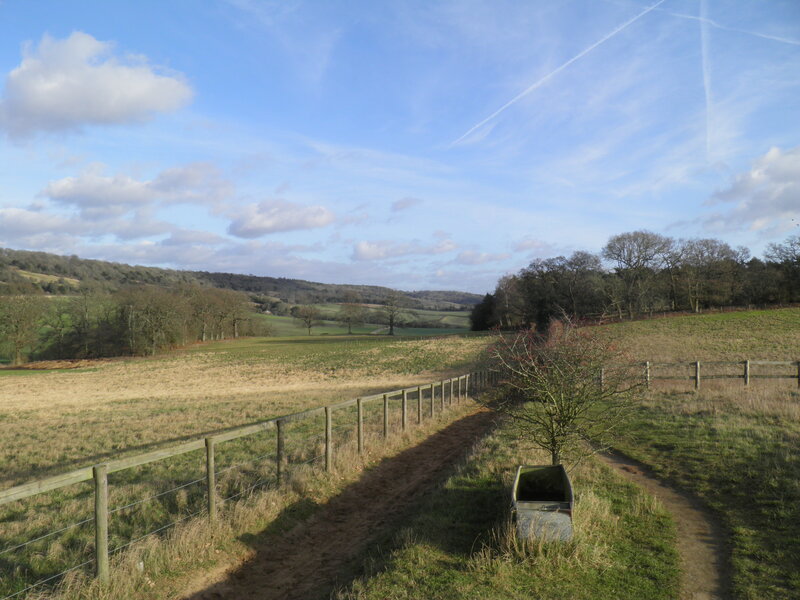 This picturesque track heads straight across the open fields, with views opening up ahead to St Martha’s Hill. Pass Water Lane Cottages and at the track junction turn left, before immediately turning right on a bridleway climbing steeply along the edge of a wood. 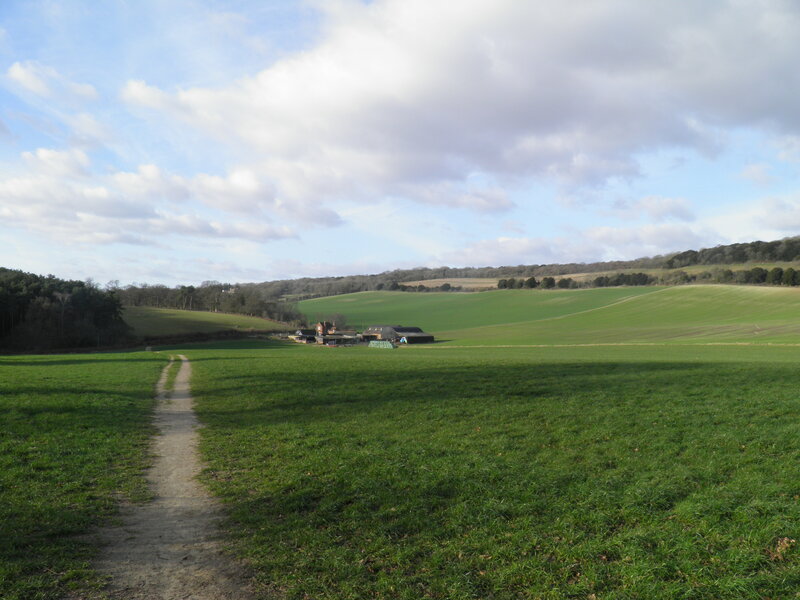 From the top of the hill, the clear path drops clearly across fields towards the farm buildings at Newbarn. Way – to reach a minor road (Guildford Lane). Cross the road and take a path opposite. On reaching the corner of a small car park, veer left on a sand path to reach a four-way fingerpost. Follow the bridleway straight ahead, a very broad path which climbs steadily, with views opening up southwards. At junctions just past a pill box, keep to the main, climbing path, now signed as the NDW again. The path breaks into the open for the final, sandy ascent to the hill-top St Martha’s Church, with its fantastic panorama, encompassing – it is rumored – eight counties. 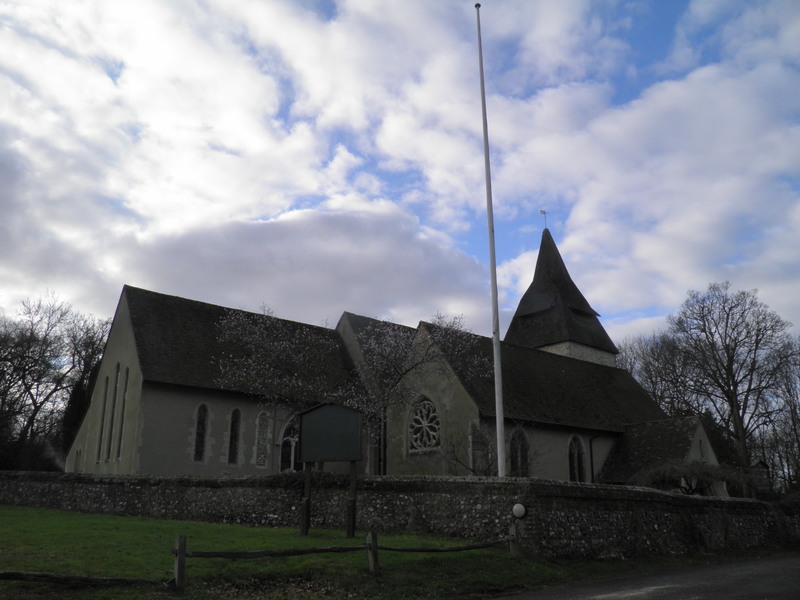 There has been a religious structure on this 175m-high hill since at least the 12th century, which may have begun as a beacon to guide pilgrims en-route to Canterbury. Indeed, it has been suggested that ‘Martha’ is in fact a corruption of ‘Martyr’, with Thomas a Beckett being the martyr in question. Enter the chuchyard through a gate, pass the church and then exit through another gate at the far end. Descend the waymarked path ahead. 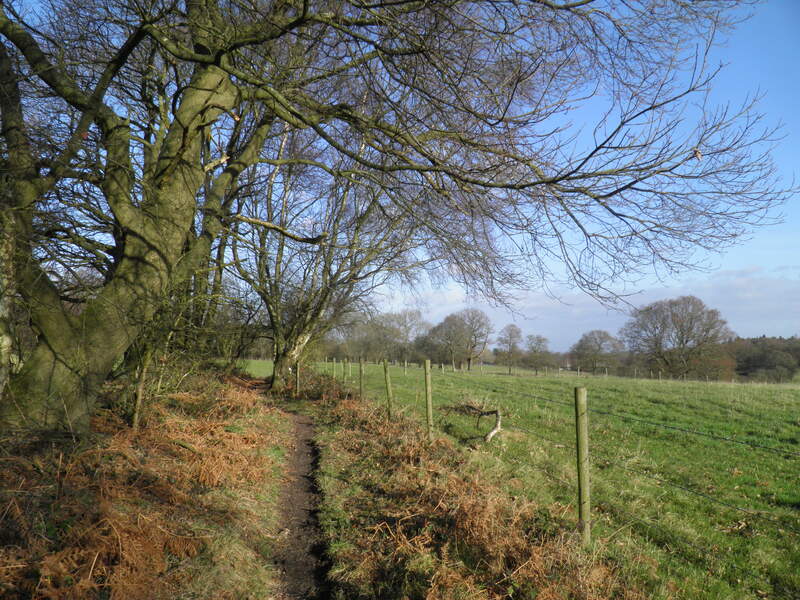 Keep straight ahead on this clear bridlepath through the woods and past the edge of a clearing to reach Halfpenny Lane. fork left, leaving the NDW (there is no waymark for the path you follow here). The path cuts through the wood and where it forks, keep left to reach the edge of the wood by the brick toilet blocks of Guildford’s municipal campsite. Keep to the path behind these, running along the edge of the wood, then shortly after pass left through a waymaked picket gate onto the open downland, now keeping to the track beside the wood. Just before a gate, turn left (following a waymark) steeply down hill beside the hedge. At a pair of stiles near the bottom of the hill, keep ahead on a signposted footpath cutting across an open field. At the bottom of this first field, dogleg right on a crossing path, then left to continue diagonally across a second field. through the picturesque cottages of East Shalford, then past a fencing merchant’s yard to reach a level crossing. Use the pedestrian gates to cross the railway with care, and immediately turn right on a path beside the line. You quickly reach a fork, where you veer left. Follow the fenced path cross playing fields, to join a minor road. Follow the road ahead, and where this swings left in front of the fine Grove Cottage, keep straight ahead on a tarmac path across Shalford Common. Completed this walk over the bank holiday weekend. Route is all up to date and clearly signed. 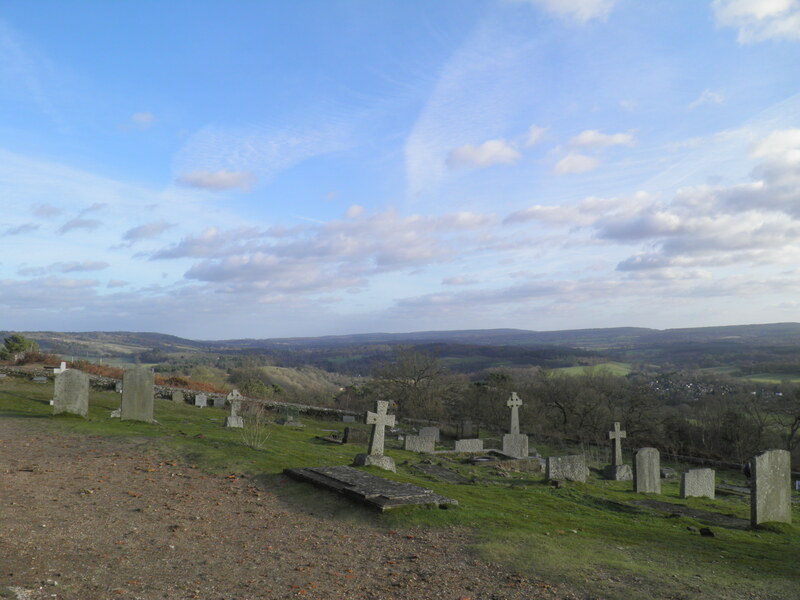 I would highly recommend, the views from St Martha’s Hill are amazing!